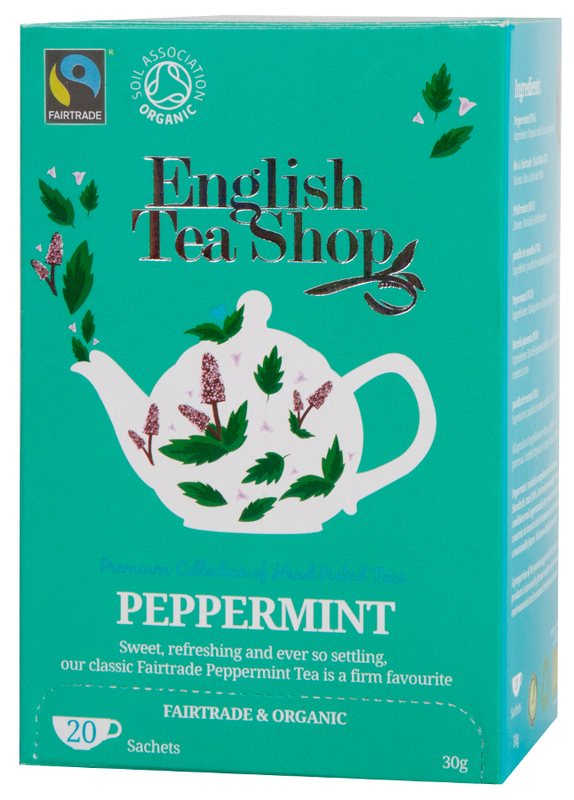 Fresh and pure peppermint tea from The English Tea Shop is both organic – Soil Association Certified, Fairtrade Labelled and of the finest quality. They come in 20 staple free sachet tea bags and are a great tasting, healthy drink. Certified by Rainforest Alliance UK. The English Tea Shop Organic and Fairtrade Peppermint Tea - 20 Bags - Sachets product ethics are indicated below. To learn more about these product ethics and to see related products, follow the links below. The teabags are good with a nice strong flavour. Its a shame though that a product with otherwise strong ethical credentials comes wrapped in an unnecessary plastic wrapper. Hopefully the manufacturer will think about removing this in time. Would recommend to someone who likes peppermint tea. 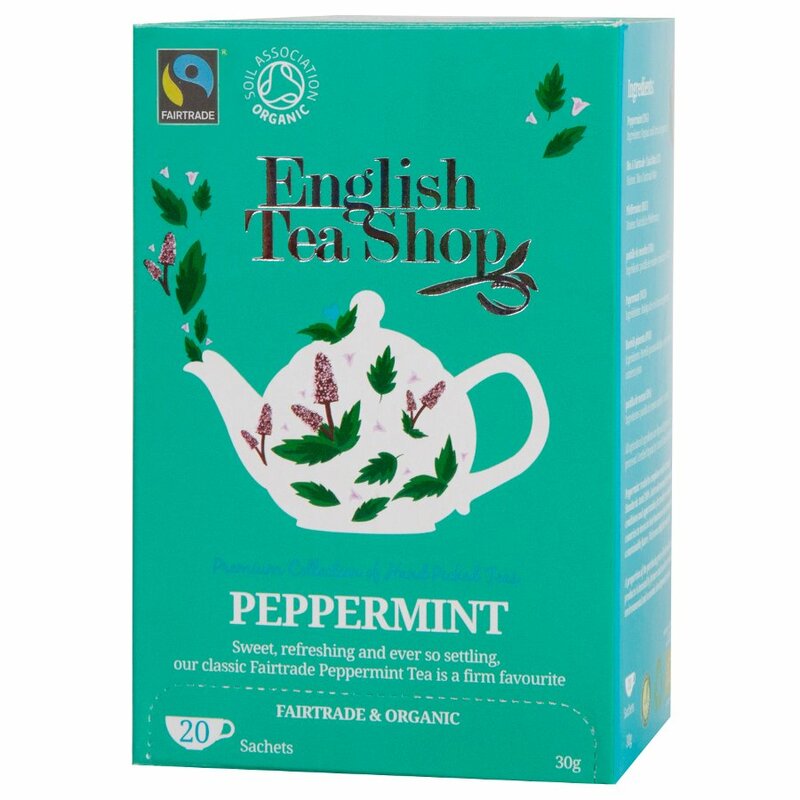 There are currently no questions to display about English Tea Shop Organic and Fairtrade Peppermint Tea - 20 Bags - Sachets.